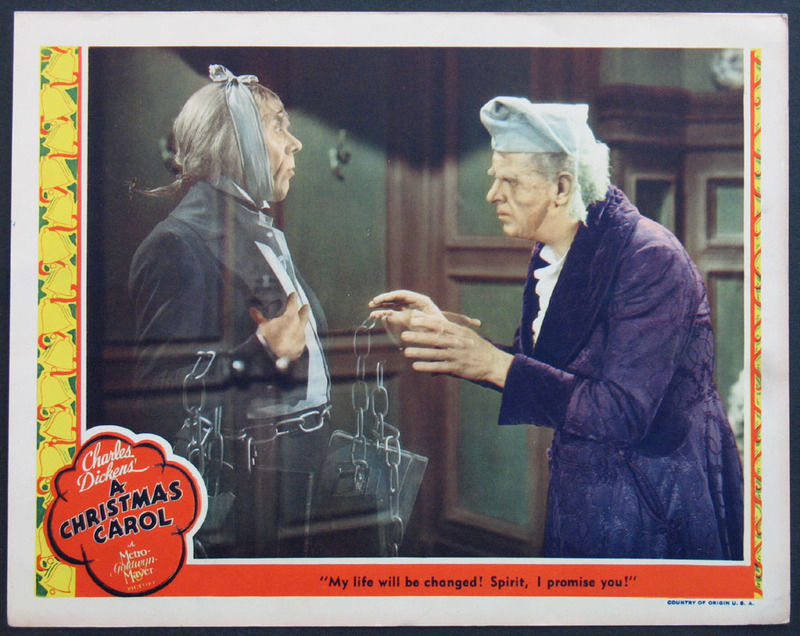 Charles Dickens holiday fantasy with Reginal Owen as Ebenezer Scrooge and Leo G. Carroll as Marley's ghost. Directed by: Marin, Edwin. 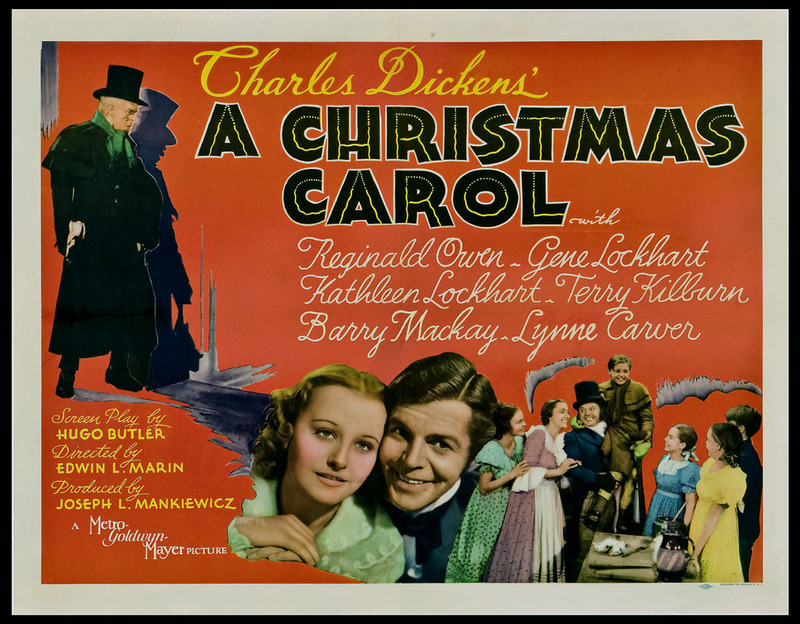 Charles Dickens holiday fantasy with Reginald Owen. Directed by: Marin, Edwin. Half-sheet , 22x28. 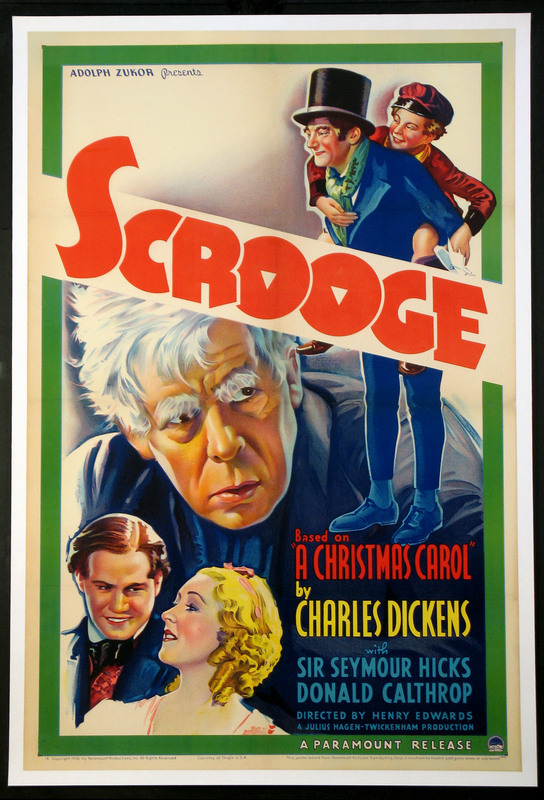 Style A VG-FINE, paperbacked, U.S.
First Sound version of Charles Dickens A Christmas Carol. Directed by: Edwards, Henry.